Kenta (Mirai Moriyama), who accidentally slips back in time from 2006 to 1944 shortly after seeing a sudden lightning flash while surfing. 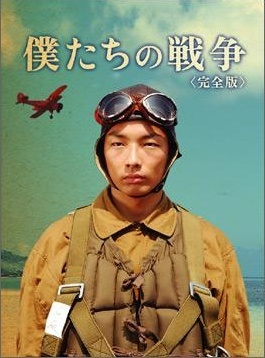 Soon he finds he has mysteriously traded places with a young soldier, Goichi (also Moriyama), who was doing flight training over the same area of the sea where Kenta was surfing. Based on novel "Bokutachi no Sensou" by Hiroshi Ogiwara (published 2004 by Futabasha).